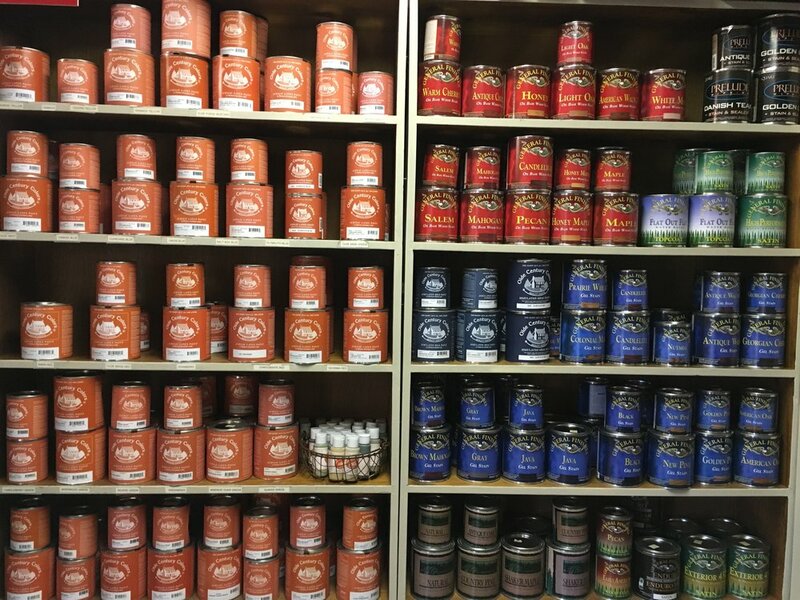 We carry General Finishes products. Check out their YouTube channel! They have a lot of great finishing tips! Olde Century paint is great for any surface from your outside shutters, front door, or building to your interior walls, woodwork or furniture. Premixed accurate colonial colors. We carry quarts and pints and will order gallons if that is your need. Our building painted in olde pewter and barn quilt in olde century colors. So easy to use! Wood samples with all the colors from both manufacturers are available for you to see at Carrells!